Valiant is proud to announce that Eisner Award-winning artist Cary Nord has signed on to become the publisher's first exclusive creator. Nord will be making his Valiant Comics debut alongside New York Times best-selling author Robert Venditti in X-O Manowar #1 -- a landmark 40-page issue that launches Valiant's return to comic shops on May 2nd. 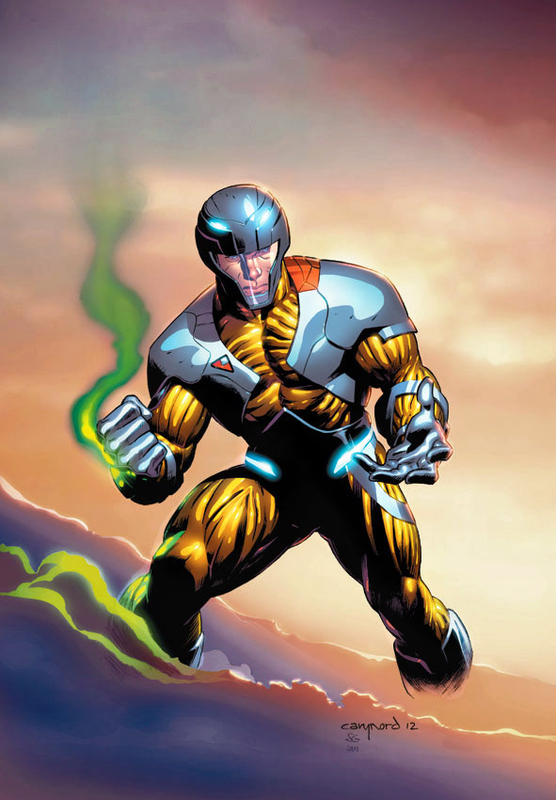 "It's been immensely exciting working on X-O Manowar," said Nord. "I'm having a great time working with this character and this team. The chance to help define the Valiant Universe was one that was just too good to pass up." With over two decades of industry experience, Nord has contributed to some of the most popular series in comics, including Daredevil and Action Comics, and has collaborated with some of the industry's preeminent talents. With writer Kurt Busiek, Nord forged an Eisner Award-winning run on Dark Horse's Conan. 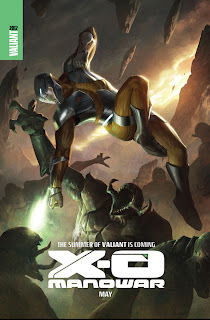 This May, Nord tackles the return of another comic book icon with X-O Manowar #1 -- the first issue of a new ongoing series that will cement the foundations of the Valiant Universe -- and spotlight the visceral action and dynamic storytelling that have made him a fan favorite artist around the world. "Cary is a tremendous talent and his work on X-O Manowar has elicited an off-the-charts response from fans and retailers. We're extraordinarily happy to have him on board for the long haul," said Executive Editor Warren Simons. "We're dedicated to bringing excellence with our comics month in and month out, and Cary has already proven himself to be a true visionary in designing the new direction of the Valiant Universe with X-O Manowar." 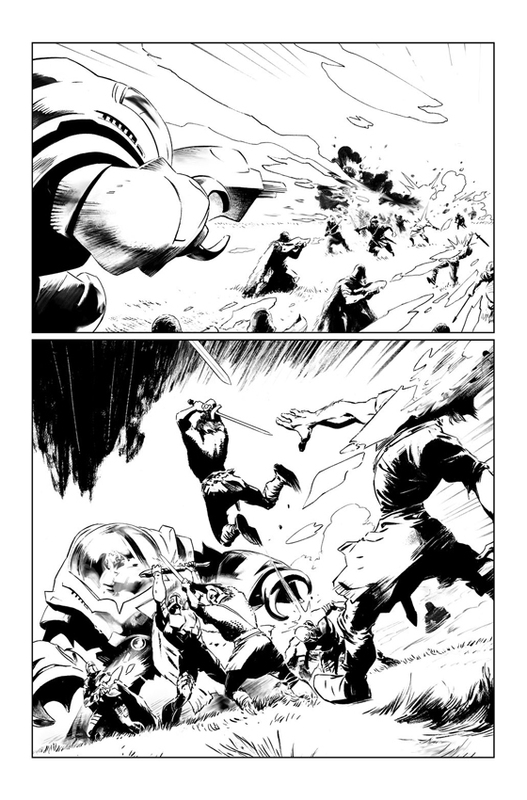 Get your first look at Nord's spectacular work on X-O Manowar #1 when the Summer of Valiant begins on May 2nd! And don't forget to ask your local retailer about the X-O Manowar #1 exclusive Pullbox and QR Voice variant covers. 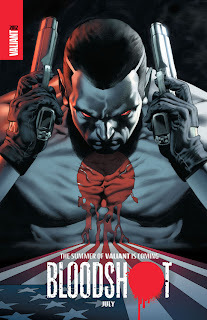 Visit www.ValiantUniverse.com for more information and news on all of Valiant's summer titles -- Harbinger #1 in June, Bloodshot #1 in July, and Archer & Armstrong #1 in August. X-O MANOWAR #1 - ON SALE MAY 2nd! X-O MANOWAR #2 - ON SALE JUNE 6th! Classic Monsters is a compilation of some of the classic monsters of old school gaming, taken from the open content of the first Tome of Horrors and converted to the C&C system. 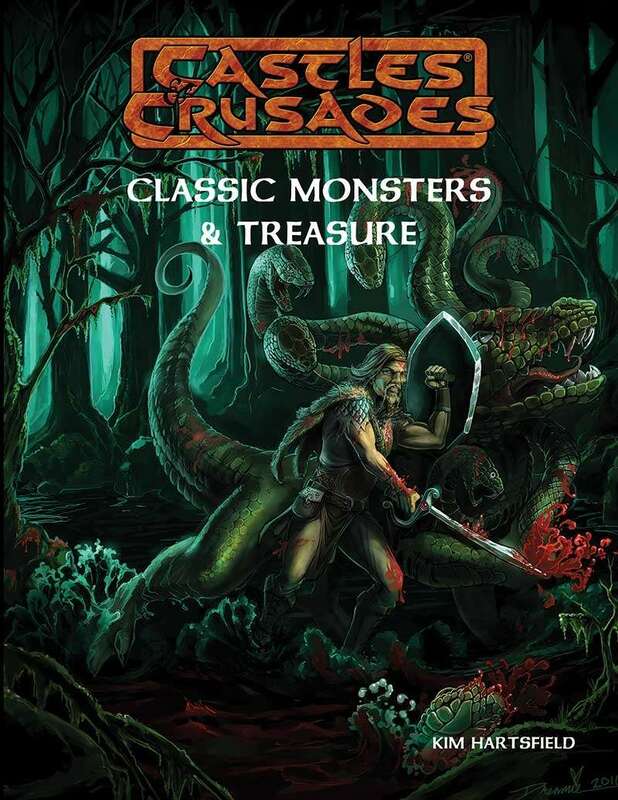 This book greatly expands the amount of monster available from the Monsters & Treasure book, and would be a boon to anyone running a game of Castles & Crusades. The art is up to the usual high standards of a Castles & Crusades book, and the layout follows the crisp and clean standards of the other C&C books. Unfortunately, among the weird and wacky monsters from the early days of the first edition of the Advanced Game, the one glaring absence would be the demons and devils. Yes, it would be easy enough to convert these...but they just seems to be much too noticeable in their absence, particularly in comparison to other much more thorough old school monster manuals that are on the market. Does this render Classic Monsters useless, or make it a less attractive purchase? Well, no to either of those questions. Classic Monsters is definitely much more affordable (and likely easier to find) than those other monster manuals, and there are still plenty of other monsters that are available in this book. With a couple of hundred new monsters, there is still a lot of meat for a Castle Keeper in this volume. Comparing this book to the recent edition of the Tome of Horrors Complete (ToHC) for Swords & Wizardry, would not be a fair comparison for Classic Monsters only because ToHC has five times the page count of Classic Monsters. It does, however, not shy away from the conversion of Devils and Demons. You can almost call these infernal creatures the Great Schism of AD&D, as it was their removal from AD&D 2e that upset a good number of gamers who felt that the new edition was overly sanitized after the "Satanic" scares over D&D of the 80s. I am certainly not accusing Castles & Crusades or Classic Monsters of being sanitized, but for me this is a glaring omission. I like the existence of the infernal to test the goodness of characters, and as a fan of writers like Michael Moorcock I like to emulate his fiction with demonic characters. Not that I would not be able to adapt or convert this material myself, if I wanted. I don't want people thinking that Classic Monsters is a bad book, because it certainly isn't. I just feel that it could have been a better book with the addition of more material. Who knows, maybe someone at Troll Lord Games will want to do something along the lines of the great old Demons series for AD&D that Mayfair Games put out all those years ago. One of the strong points of the write-ups for these monsters is the combat section. For those less experienced Castle Keepers, or those who were not around in the hobby when many of these creatures were first published, having that brief outline of how each monster acts in combat can be very useful. There is also enough ecology information to be able to place these monsters into an adventure in a way that makes some logical sense. Yes, this is a volume that adapts material that is already available, but sometimes not having to do the conversion work is worth the price of admission, and not everyone still has copies of the original MM2 or the Fiend Folio around to use for their Castles & Crusades games. Because of that, this book is useful and a good addition to anyone's Castles & Crusades library. You can purchase the PDF of this book here, and if you keep the affiliate code, a portion of the sale will benefit this blog and allow for more things to be reviewed. Are you on Google+? Do you like old school fantasy gaming? 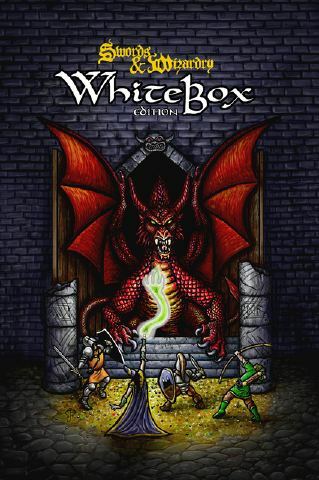 I am recruiting for a Swords & Wizardry Whitebox game that will be played on Google+ hangouts, Tuesdays at about 10pm EST. Most of the goal is to introduce an online friend to tabletop role-playing (or the approximation of it online). You can find the PDF at the above link, so there is no cost to you to play. My G+ profile can be found in the column at the right, and you can express your interest in the comments below. This will be a G+ hangouts game, so you have to be set up over there to play. There's a little interest already, so we are probably looking for two more players. Update: Valiant has released the first six pages of XO Manowar, now with letters. The pages have been added to the bottom of the post. Valiant has released a few more of the unlettered pages from the upcoming relaunch of XO Manowar #1. Now, with more pages after the jump. It looks like we have an interesting spread of games and supplements for this year's Origins awards. No really dominant publishers like last year's awards and a good spread of design styles. Congratulations to everyone nominated, and good luck. I have a couple of these games (in PDF at least), so I will try to talk about the ones that I have leading up to the vote at Origins this summer. More information on all of the nominees, and the lists of the nominees in other categories can be found here. Finally, I managed to get a copy of this first issue. I have been looking forward to this collaboration between two fresh voices in comics: Brian Wood and Becky Cloonan. Yes, it's not the first time that they have worked together. Fans of super-hero comics should track down their two Demo collections for a series of interesting and thoroughly modern takes on super-heroes and super-powered people. This comic isn't about someone with super-powers, a code name, or brightly colored tights. It is about Conan, the Barbarian, and it is the launch of a new Dark Horse title about the pirate years of the character, and his travels with the pirate queen Belit. 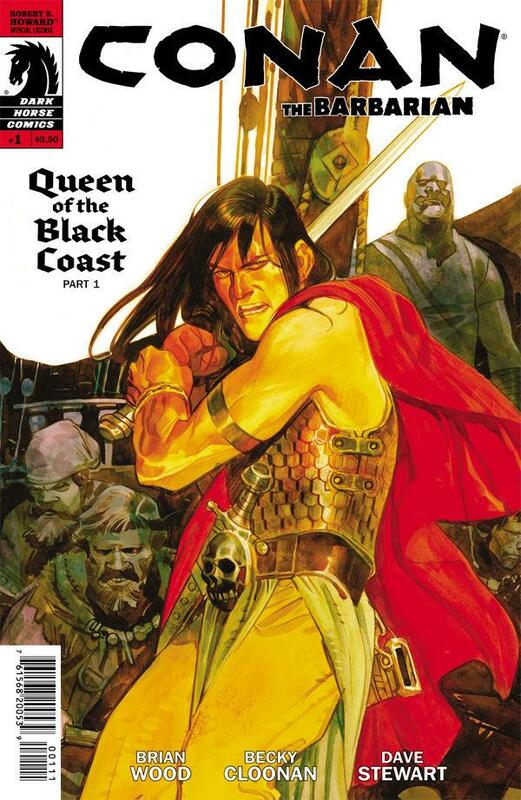 Outside of a few references in other stories, the original Queen of the Black Coast, written by Robert E. Howard, is the only appearance of Belit. She appeared in numerous issues of the old comics from Marvel. First, let's talk about the art. Becky Cloonan is one of the best young artists to hit comics in a long time. She brings an energy and vibrancy to this issue that is unlike any artist that you have probably seen before on a Conan comic. Her sensibility is very much that of the alternative comics of the last decade or so, and I think that brings a new feeling to the story. Her characters are expressive. You can see Conan smirk and Belit smolder within the pages of this book. The sample at the right shows our first glimpse of the character of Belit, filtered through the lusty imagination of Conan. Brian Wood's writing weaves between quoting the original story and giving an emotional resonance to the characters in the story. Both Conan and Tito have distinct voices that allow you to tell the difference between who is talking when. 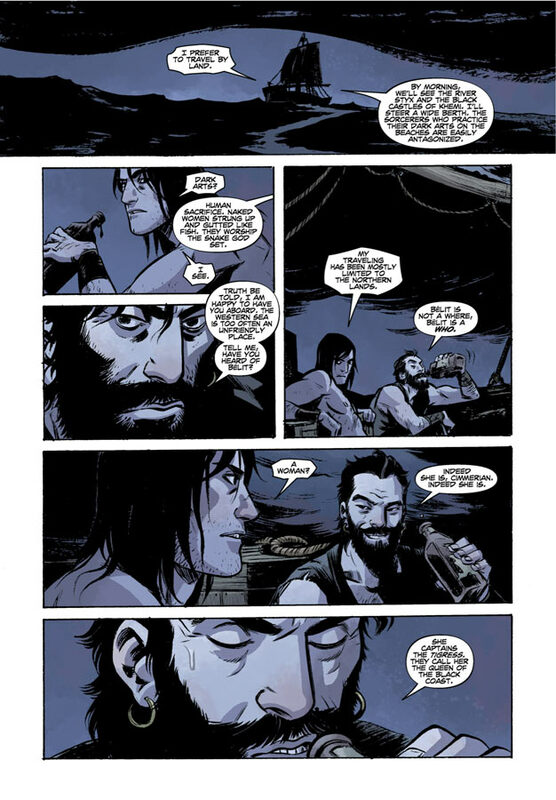 Even though this is a younger Conan, with much of his life and adventures before him, Wood gives the character a wight that shows the big hero that he is going to become one day. Wood and Cloonan manage to demonstrate in just a few short pages that even this young Conan is a charismatic leader of men, who manages to quickly convince a ship of merchants to help him and take him away from the city where his savage ways have once again gotten him into trouble. He only needs a small hint of violence to do it, but his manner quickly wins over the crew. Admittedly, this is an introductory issue and it shows. Most of this issue is given to explaining who Conan, Tito, and Belit are as characters and setting the tone for Conan's world. This might be a bit dull for someone who is a long time fan of the characters and stories. 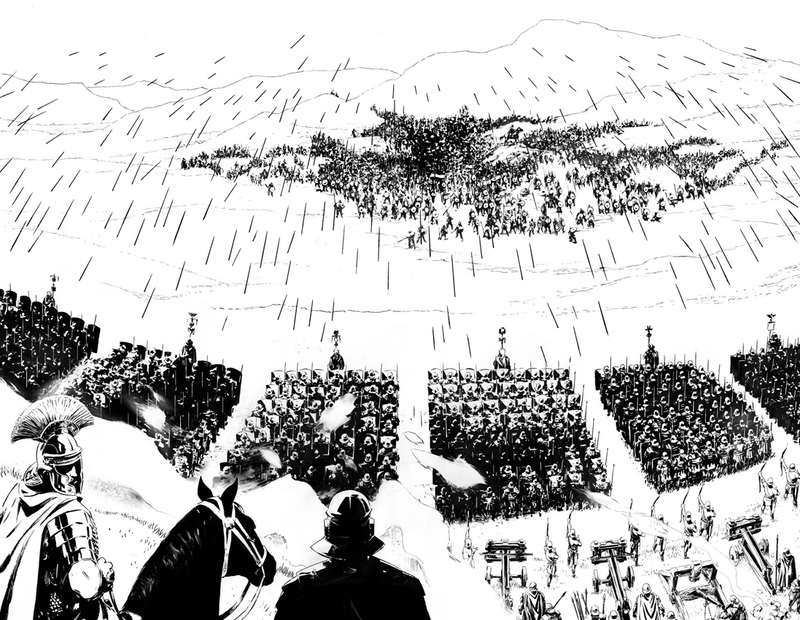 However, this is a new ongoing that will also give us new adventures during this period of Conan's life, so a little bit of setup can be overlooked. To me, this is one of the classic Conan tales, and I think that the adaptation has been done right. Is this comic worth buying? Definitely, yes. I plan to keep buying it past the adaptation of this story as well, because I think that the work done by Wood and Cloonan, as well as the talent that they have already demonstrated on other projects, show that this will be a book that is a keeper as long as they are doing it. People have been clamoring for a post. This is an early mock-up of the cover. It is subject to change. 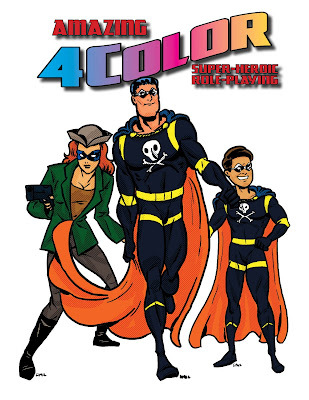 Those are public domain super-heroes Black Terror, his sidekick Tim and a sometimes associate of the two named Red Ann. The art is by Darrel D. Miller and is available on DriveThruRPG. He does art with a cool retro feel, and he also does writeups of public domain supers for the Supers! RPG. Welcome to the blog. I am already working out a couple of posts for the blog, while I work on my revision of the 4C System. Revision is such a strong word. I'm not really rewriting things as much as I am turning the rules from a rather bland toolkit (no offense meant to the original 4C writers) into a more flavorful super-hero game. I'll be talking about what I am doing here as I go along with my development. 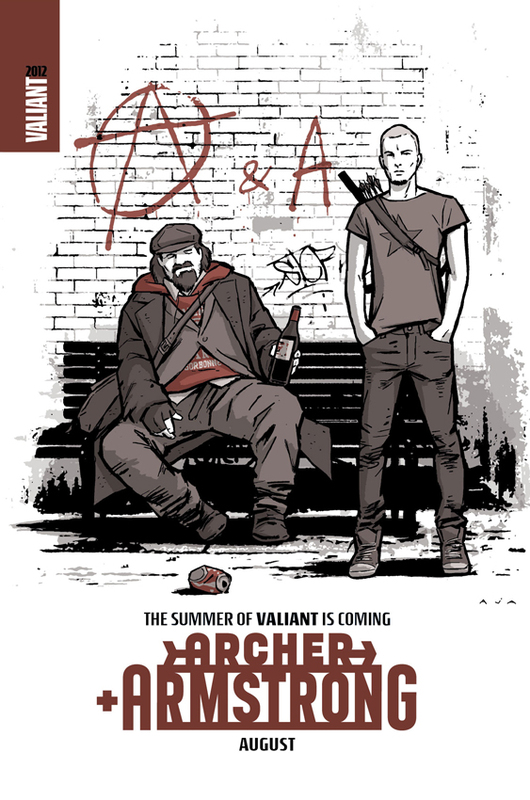 Valiant is proud to announce four new series for the summer of 2012 -- X-O Manowar, Harbinger, Bloodshot, and Archer & Armstrong -- featuring brand new beginnings for some of comics' most iconic characters! 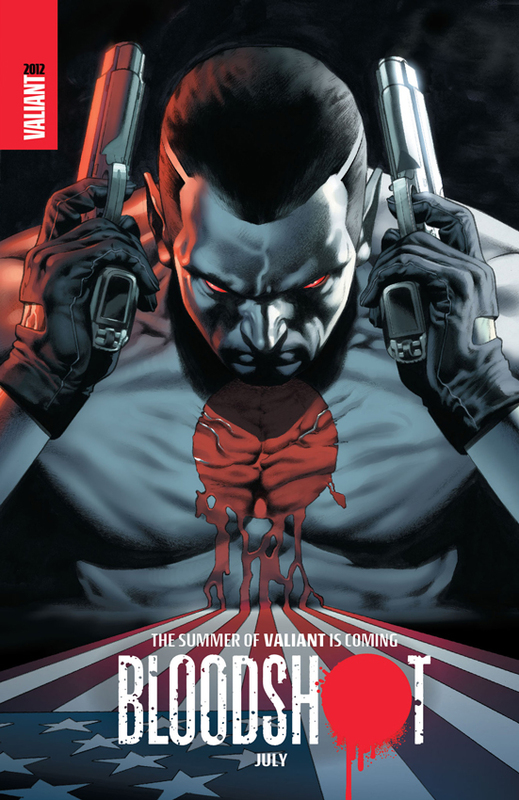 Kicking off with X-O Manowar in May and Harbinger in June, the Summer of Valiant continues this July in Bloodshot #1, from acclaimed writer Duane Swierczynski (Immortal Iron Fist, Birds of Prey) and artists Manuel Garcia (Checkmate, Spider Man: Breakout) & Arturo Lozzi (Immortal Weapons)! Then, in August, the Valiant Universe's greatest duo begins an all-new epic journey in Archer & Armstrong #1 by the New York Times bestselling creative team of Fred Van Lente (Amazing Spider-Man, Hulk: Season One) and Clayton Henry (Uncanny X-Men)! Four months. Four titles. Infinite possibilities. 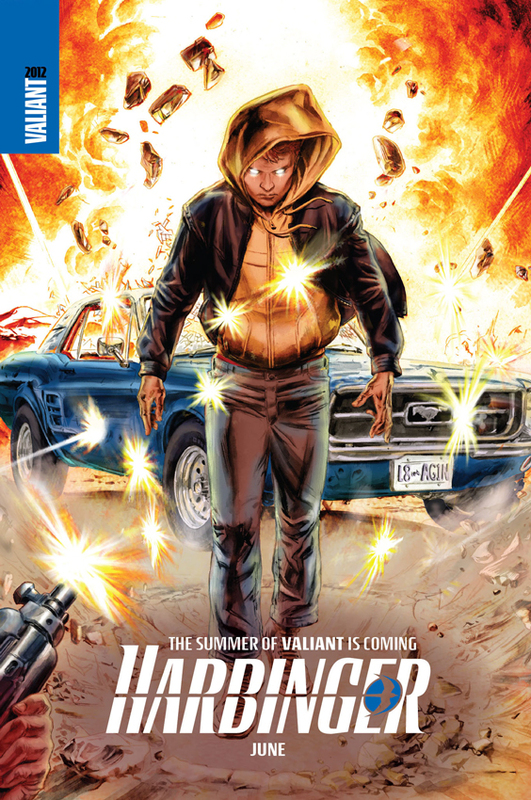 The Summer of Valiant is coming! 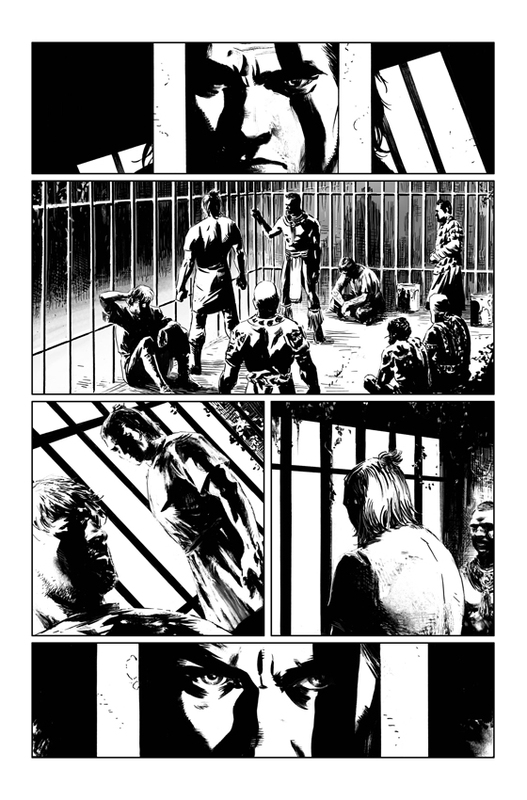 After the jump we have some unlettered preview art from the first two Valiant comics of the Summer of Valiant. I made my first mix on 8Tracks. I hope you like. The Cherry from chris.helton on 8tracks. I am a little bit late to the show, because of my little vacation, but I wanted to make sure that I got this out there for those of you who might be interested (and didn't already know about it). GMs may only get one day a week, but at RPGNow/DriveThruRPG they get a whole week...a whole week of sales that is. From Classic and Contemporary White Wolf, to Fantasy Games' Unlimted's offerings from the early days of gaming, to Fading Suns, to a swath of material from the good days of D20...this sale has a little bit of everything for you. This sale runs until March 7, so be sure to get in on some of the action. There has got to be something that you have been looking for in this sale. This week, while the sale is going on, I am also going to do a post or two about GMing tips. That should be fun too.